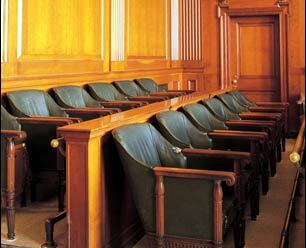 What was your experience serving as a juror? Reporter Alan Berlow on making deadly decisions. Jury service can be extremely stressful, even traumatic. In the 38 states that have the death penalty, jurors who reach a guilty verdict must also decide if the defendant will live or die. Jurors will frequently shift responsibility to the defendant, the appeals process, the judge or the law itself. While the states have adopted new instructions to guide jurors in making life or death decisions, many jurors appear to be just as confused about the law as they were when the high court put the death penalty on hold. Lawyers say the critical part of the trial is the selection of jurors. But selecting the jury is not an exact science. Major funding for American RadioWorks is provided by the Corporation for Public Broadcasting.